These medium-sized breeds of dogs have been descended through breeding of English Cocker Spaniel in England in the late 19th and 20th centuries. However, they were not popular as hunting dog and thus became almost extinct at one point, but in 1920s it was developed as a strong dog with longer legs and was thus made suitable for working in the fields. They are considered to be a rare breed in United States, as well as England and have been mentioned as a Vulnerable Native Breed by The Kennel Club. 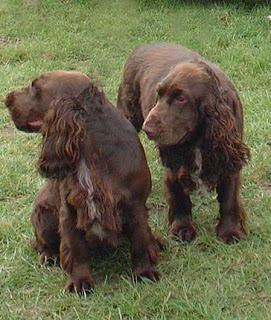 The life span of Field Spaniel is approximately 10 to 12 years and they suffer from only minor health problems like dysplasia, thyroid disease, ear infections, and eye problems such as cataracts, progressive retinal atrophy, and retinal dysplasia.